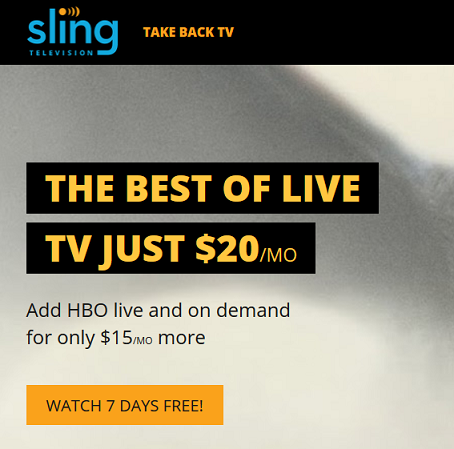 Sling TV is fully supported by our service. To subscribe, first please ensure that our DNS is set up and working correctly on your computer. Note: You might get the error page below if your computer is not set up correctly with our service. If it's setup correctly, you should be greeted with the main page, as below. Enter your email address and password that you would like to use for the service and click on Next. Now, select the package that you are interested in, scroll down and click Continue. Enter your credit card details. 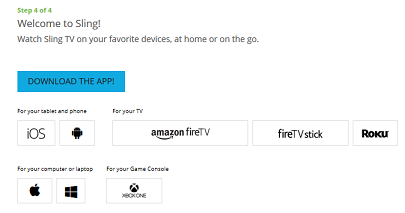 So far, it looks like you can sign up using a credit card from any region, however, for the address, you will need to enter a valid US address. There are a number of sites that generates random but valid addresses such as the one linked below, so you can try them instead if you do not have a residential address in the US. Check the terms and conditions at the bottom of the form and click on Finish & Submit. 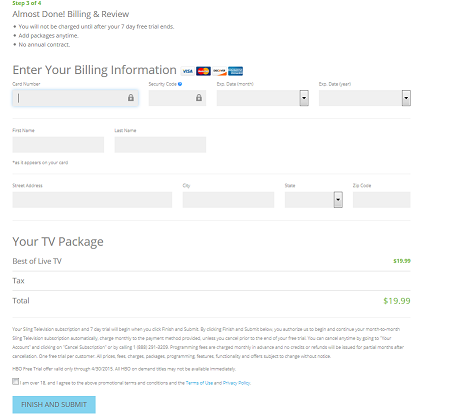 That's it, once your payment details are verified, you will be greeted with a page confirming your subscription status and the steps on how to set up Sling TV on your devices. 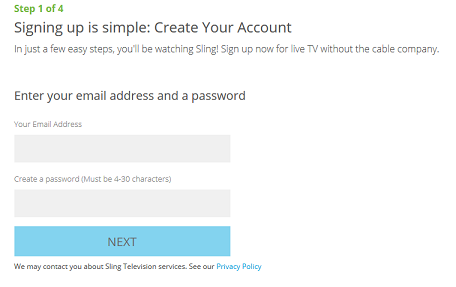 If you need any further assistance with the sign up process, please don't hesitate to contact our technical support team at support@simpletelly.com and we'll do our best to assist further.